Steak - Marinade overnight in bbq sauce. Heat heavy based pan with olive oil until hot. Reduce heat to medium and place steak in pan. Cook for 6-8 minutes and turn. Cook for another 5 minutes for medium. Remove from pan and let rest for 5 mins. Mash potato - Place potato in bowl. Cover with plastic wrap and place in microwave. Select the baked potato option. Once cooked, remove potato from microwave and mash with fork. Add mayo, garlic powder, salt and pepper until combined. 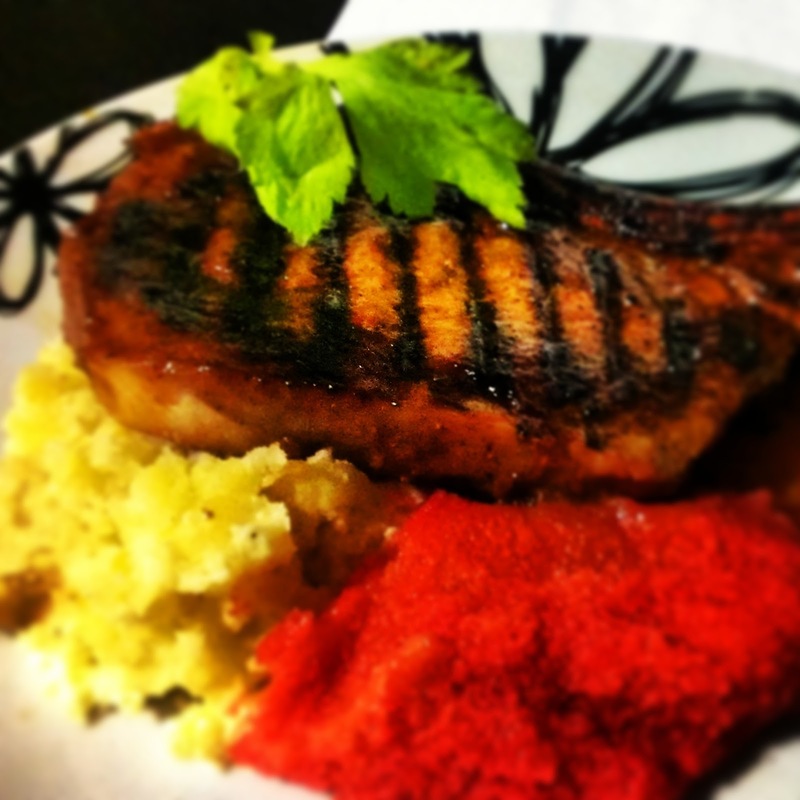 Beetroot polenta - Google how to cook polenta. Add the juice from a can of beetroot to the water the polenta is cooking in.